Excessive sweating in the hands or feet can have detrimental health effects. The added moisture can foster the development of bacteria and lead to unpleasant conditions such as Athlete’s foot. Iontophoresis is a procedure performed here at Cherrywood Foot Care to treat excessive sweating. It involves one or a series of short, 10- to 20-minute sessions in the doctor’s office during which a slight electrical current is passed through water into the feet. Gradually the current is increased until the patient experiences a slight tingling sensation. This process can expeditiously plug up the sweat glands and help end this unpleasant condition. 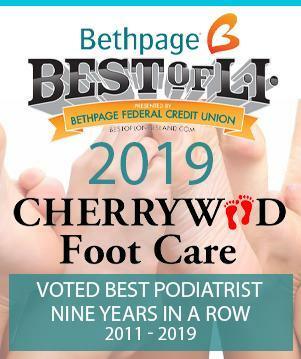 Consult us at Cherrywood Foot Care if you think you might want to explore this treatment.